The Most Rev. Royal U. Grote, Jr.
Our most gracious Lord called our Presiding Bishop, The Most Rev. Royal Grote, Jr., to his eternal home in the early morning hours of Thanksgiving Day. He peacefully departed this life in his sleep. Memorial service arrangements and further details will be announced as they are determined. The Rt. Rev. 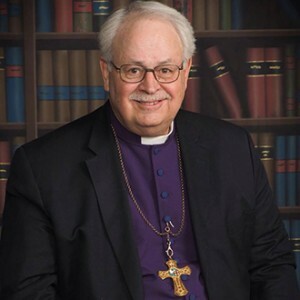 Ray R. Sutton, Vice-President of the Reformed Episcopal Church and Bishop Coadjutor of the Diocese of Mid-America, will assume responsibilities as President of the Reformed Episcopal Church and Bishop Ordinary of the Diocese of Mid-America. Please be in prayer for Bishop Grote’s wife, Ellen, and the Grote family. No upcoming events have been scheduled.